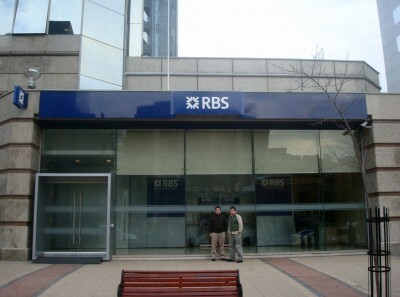 The story came to prominence because Buzzfeed News and Newsnight investigated the case and found that RBS had pushed more than 12,000 businesses into GRG, which dealt with struggling companies. A leaked cache of internal documents was the evidence that BuzzFeed News and BBC Newsnight used who said that even when business customers had not defaulted on their loans, RBS staff could find a way to “provoke a default” in some way. If you have not seen Max Keiser’s report called “Stunned Commoners” – I recommend you do so right HERE for a full and detailed account of the story, plus guests who were affected directly by the RBS actions. The so-called ‘independent’ report ordered by the Financial Conduct Authority had a line up of experts and professionals, namely; Mazars the global auditor, Promontory Financial Group the consulting firm, and Clifford Chance the global legal firm. All three are well acquainted with scandal one way or another. “the Financial Reporting Council (FRC) charged Mazars £750,000 – a record for a case settled outside a tribunal – and charged the firm £1.12m in costs. It fined the firm’s main partner in the case, Richard Karmel, £50,000 and charged him £80,000 in costs. The FRC reprimanded Mazars for its conduct. Promontory Financial Group, a major advisor to U.S. banks, was ordered by the New York Department of Financial Services to pay fine of $15 million over allegations it had put its own business interests before its obligations to regulators during its consulting work at Standard Chartered Bank. Promontory also agreed to a six-month abstention from new consulting engagements that require disclosure of confidential information by the regulator. The NYDFS had alleged that Promontory’s work lacked objectivity and was not reflective of its best independent judgment. Promontory admitted that, in certain instances, its actions during the Standard Chartered engagement did not meet regulatory requirements for consulting work performed on behalf of NYDFS. Clifford Chance’s former managing partner Tony Williams, went on to run the now-defunct legal arm of Arthur Andersen which disintegrated as a result of the massive Enron Scandal. The FCA should have appointed truly independent investigators, without conflict of interest and without a background in defending themselves against claims of mismanagement and malpractice. One should not forget that the government (or taxpayer to be precise) owns a 73 per cent stake in a bank that required the biggest bank bailout in British history that threatened the entire economy. It required £45bn of life support, money the country desperately needs in an age of austerity. RBS has racked up losses every single quarter since the bailout and additionally been fined a whopping £10bn for its egregious crimes committed all over the world. The government has an interest in not contributing further to the woes of RBS but at least should be honest and transparent if an investigation of malfeasance is required, which in this case, it clearly hasn’t. In addition, the FT should come clean and call out RBS for what they really are.